Enterprise resource planning (ERP) software standardizes, streamlines and integrates business processes across finance, human resources, procurement, distribution and other departments. Here's what you need to know about these key IT systems. What is an ERP system used for? What are the benefits of ERP systems? Every organization manages people, purchases products and services, sells (or gives away) something and accounts for money. The way each activity is handled will vary, but every enterprise performs these basic functions. In most cases, it is more effective to handle these processes through an integrated software platform than through multiple applications never designed to work together. That's where enterprise resource planning (ERP) systems come in. While ERPs were originally designed for manufacturing companies, they have expanded to service industries, higher education, hospitality, health care, financial services, and government. Each of industry has its own peculiarities. For example, government ERP uses Contract Lifecycle Management (CLM) rather than traditional purchasing and follows government accounting rules rather than GAAP. Banks have back-office settlement processes to reconcile checks, credit cards, debit cards, and other instruments. ERP is software that standardizes, streamlines and integrates business processes across finance, human resources, procurement, distribution, and other departments. Typically, ERP systems operate on an integrated software platform using common data definitions operating on a single database. In 1990, Gartner created the term ERP to describe the evolution of materials requirements planning (MRP) and manufacturing resource planning (MRP II) as they expanded beyond manufacturing into other parts of the enterprise, typically finance and HR. ERP systems evolved rapidly during the 1990s in response to Y2K and the introduction of the Euro. Most enterprises viewed Y2K and the Euro as the cost of doing business, and ERPs provided as a cost-effective way to replace multiple, old systems with a standardized package that could also address these issues. Integrating financial information. Without an integrated system, individual departments, such as finance, sales, and so on, need to rely on separate systems, each of which will likely have different revenue and expense numbers. Staff at all levels end up wasting time reconciling numbers rather than discussing how to improve the enterprise. Integrating orders. An ERP coordinates order taking, manufacturing, inventory, accounting, and distribution. This is much simpler and less error prone with a single system than with a series of separate systems for each step in the process. Standardizing and speeding manufacturing. Manufacturing companies, especially those with an appetite for mergers and acquisitions, often find that multiple business units make similar widgets using different methods and computer systems. 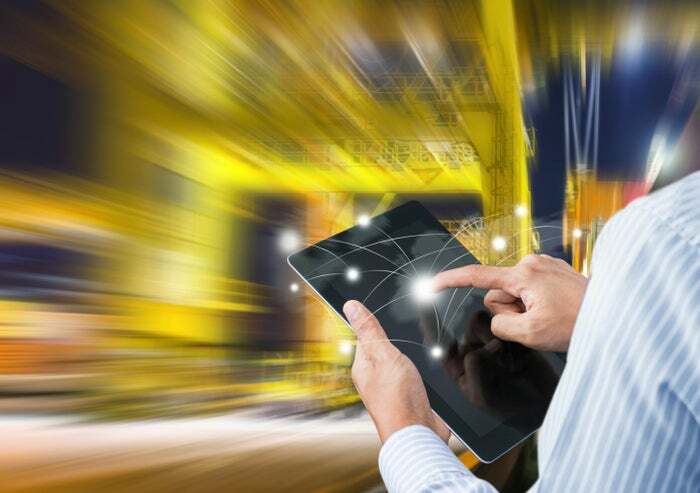 ERP systems can standardize and automate manufacturing and supporting processes. This standardization saves time, increases productivity, and reduces head count. Standardizing HR information. Many enterprises, especially those with multiple business units, lack a simple way to communicate with employees about benefits or to track employees’ hours and expenses. An ERP system, with a self-service portal, enables employees to maintain their own personal information, while facilitating time reporting, expense tracking, vacation requests, scheduling, training, etc. By integrating information, such as advanced degrees, certifications, and work experiences, into an HR repository, individuals with specific capabilities can be more readily matched to potential assignments. Standardizing procurement. In the absence of an integrated procurement system, analyzing and tracking purchases across the enterprise is challenging. Large enterprises often find that different business units purchase the same product but don’t receive the benefit of volume discounts. ERP procurement tools arm purchasing teams for vendor negotiations by identifying widely used vendors, products, and services. Facilitating government reporting. ERP systems can greatly enhance an organization's ability to file the necessary reporting for government regulations, across finance, HR and supply chain. Internal efficiency. Properly operating ERP systems enable enterprises to reduce the time required to complete virtually every business process. Better decision-making. ERPs promote collaboration through shared data organized around common data definitions. Shared data eliminates time wasted arguing about data quality and it permits departments to spend their time analyzing data, drawing conclusions, and making better decisions. The most effective decision-making balances central guidance with some amount of local autonomy. Central command and control is rarely responsive to local needs while full-field autonomy precludes enterprise-wide coordination. Shared data and common business processes allow decisions to be made within headquarters’ parameters by the individuals closest to the situation. Increased agility. Standardization and simplification result in fewer rigid structures. This creates a more agile enterprise that can adapt quickly while increasing the potential for collaboration. Enhanced security. While a centralized data base with enterprise data is a big target, it is easier to secure than data that is scattered across hundreds of servers in closets or under desks. It is particularly difficult, if the security team is not aware of the server or that it contains corporate data. Enterprise-wide integration. Business processes are integrated end to end across departments and business units. For example, a new order automatically initiates a credit check, queries product availability, and updates the distribution schedule. Once the order is shipped, the invoice is sent. Real time (or near real time) operations. Since the processes in the example above occur within a few seconds of order receipt, problems are identified quickly, giving the seller more time to correct the situation. A common database. A common database was one of the initial advantages of the ERP. It allowed data to be defined once for the enterprise with every department using the same definition. Individual departments now had to conform to the approved data standards and editing rules. While some ERPs continue to rely on a single database, others have split the physical database to improve performance. Consistent look and feel. Early ERP vendors realized that software with a consistent user interface reduces training costs and appears more professional. When other software is acquired by an ERP vendor, common look and feel is sometimes abandoned in favor of speed to market. As new releases enter the market, most ERP vendors restore the consistent user interface. ERP systems are typically categorized in tiers based on the size and complexity of enterprises served. ERP systems can be either proprietary or free and open source, though most open source ERPs are designed for small organizations or higher education and may offer little functionality beyond finance. Tier I ERPs support large, global enterprises and handle all internationalization issues, including currency, language, alphabet, postal code, accounting rules, etc. For decades, Oracle and SAP have been considered Tier I. Microsoft and Infor are more recent competitors but are frequently categorized as Tier I as well. Tier I Government ERPs support large, mostly federal, government agencies. These vendors support the nuances of government accounting, HR, and procurement. Oracle, SAP and CompuServe’s PRISM are considered Tier I with Infor and CGI’s Momentum close behind. Tier II Government ERPs focus mostly on state and local governments with some federal installations. Tyler Technologies and UNIT4 fall in this category. Tier III ERPs support mid-tier enterprises. Most handle a handful of languages and currencies but only a single alphabet. Depending on how ERPs are categorized, there are 75 to 100 ERP solutions. Tier IV ERPs are designed for small enterprises. ERP systems designed for micro enterprises often focus on accounting and are not considered full ERPs by IT professionals. Over the past few years, ERP vendors have created new systems designed specifically for the cloud. At the same time many longtime ERP vendors have created cloud versions of their software. ERP as a service. With these ERPs, all customers operate on the same code base and have no access to the source code. Users can configure but not customize the code. ERP in an IaaS cloud. Enterprises that rely on custom code in their ERP cannot use ERP as a service. If they wish to operate in the cloud, the only option is to move to an IaaS provider, which shifts their servers to a different location. For most enterprises, ERP as a service offers three advantages: The initial cost is lower, upgrades to new releases are easier, and reluctant executives cannot pressure the organization to write custom code for their organization. Choosing an ERP system is among the most challenging decisions facing IT leaders. In addition to the above tier criteria, there is a wide range of features and capabilities to consider. With any industry, it is important to pick an ERP vendor with industry experience. Educating a vendor about the nuances of a new industry is very time consuming. To help you get a sense of the kinds of decisions that go into choosing an ERP system, check out “The best ERP systems: 10 enterprise resource planning tools compared,” with evaluations and user reviews of Acumatica Cloud ERP, Deltek ERP, Epicor ERP, Infor ERP, Microsoft Dynamics ERP, NetSuite ERP, Oracle E-Business Suite, Oracle JD Edwards EnterpriseOne ERP, Oracle Peoplesoft Financial Management and SAP ERP Solutions. Most successful ERP implementations are led by an executive sponsor. This is the executive who will receive the majority of the program's benefits when the new system is operational. At a minimum, this executive should sponsor the business case, get approval to proceed, monitor progress, chair the steering committee, remove road blocks, and capture the benefits. With the exception of internal IT projects such as infrastructure refreshes or ITIL rollout, the CIO should NOT sponsor projects. The CIO works closely with the executive sponsor to ensure adequate attention is paid to integration with existing systems, data migration, and infrastructure upgrades. The CIO should also advise the executive sponsor about the challenges encountered by all major programs and should help the executive sponsor select a firm specializing in ERP implementations. Such a firm should bring specialized business process knowledge and experience with the ERP selected. An implementation firm executive should become an advisor to the executive sponsor. The executive sponsor should be advised by an organization change management executive as well. An ERP implementation will result in new business processes, roles, user interfaces, and job responsibilities. Organization change management can help every person in the enterprise understand the impact ERP will have on both the organization and on the individuals. In most cases, an organization change management firm, rather than an internal executive, provides this support. Reporting to the program’s executive team should be a business project manager and an IT project manager. If the enterprise has engaged an ERP integration firm or an organization change management specialist, their project managers should be part of the core program management team. Once the business case is complete, the appropriate group of senior executives should authorize ERP implementation to proceed. Finalize team members. Key internal individuals should be identified by name. Other required staff should be identified by role. External partners need to be selected. Typical partners include: ERP implementation specialists, organization change management specialists and technical specialists. Plan infrastructure upgrades. On-premises ERP systems frequently require faster processors, additional storage, and improved communications. Some organizations can minimize infrastructure upgrades by using a cloud ERP. But even cloud ERPs can require infrastructure upgrades. Create a work plan and timeline. Tasks, dependencies, resources, and timing need to be made as specific as possible. Analyze gaps. Understanding the gaps in current business processes and supporting applications helps the project team determine how to change business processes to conform to the software. Configure parameters. Parameters in the ERP software are set to reflect the new business processes. Complete required programming. Ideally, no changes are needed for the ERP software. However, some programming may be required for interfaces to other systems or for data migration. Migrate data. The team standardizes data definitions and examines existing files for data completeness, quality, and redundancy. Finally, existing data is cleansed and migrated to the new ERP. Test system. The system is tested to ensure it delivers the needed functionality and required responsiveness. Document system. Required functional and technical documentation is created. Typically, the vendor has documentation that can be tailored to enterprise standards. Upgrade infrastructure. Complete any required upgrades. Train staff. All staff need to be trained to operate the system and be given access rights. Plan support. A support team will be needed to answer questions and resolve problems after the ERP is operational. Test the system. The new system must be thoroughly tested to ensure it is secure, responsive, and delivers the functionality described in the business case. Make the “Go live” decision. Once the executive sponsor is confident the new ERP is ready, the enterprise needs to switch from the old system to the new system. Following ERP deployment, most organizations experience a dip in business performance as staff learn new roles, tools, business processes, and metrics. In addition, poorly cleansed data and infrastructure bottlenecks will cause disruption. All impose a workload bubble on the ERP deployment and support team. Business process change. Most people are content to work within the current environment unless they are a systems analyst or worked for a different enterprise with better systems. Once teams see the results of their improvements, most feel empowered and seek additional improvements. Success breeds success often consuming more time than originally budgeted. Organization change management. Although process improvements make enterprises more efficient and effective, change creates uncertainty at all organization levels. A formal organization change management program reassures staff and helps them accept the changes. With many executives unfamiliar with the nuances of organization change management, the effort is easily underestimated. Data migration. Prior to an ERP implementation, enterprises frequently have overlapping databases and weak editing rules. The tighter editing required with an ERP system increases data migration time. The time required is easy to underestimate, particularly if all data sources cannot be identified. Custom code. Although enterprises have customized ERPs for years, it remains a bad practice. Customization increases implementation cost significantly as users demand additional features. It voids the warranty; problems reported to the vendor must be reproduced on unmodified software. It makes upgrades difficult; the custom code usually requires changes every time the vendor issues a new release. Finally, most enterprises underestimate the cost; even enterprises that estimate the initial cost rarely include the cost of migrating to new releases. ERP projects fail for many of the same reasons that other projects fail. The most common cause is an ineffective executive sponsor who cannot command respect throughout the organization, is not interested in the project, or is distracted by other responsibilities. Other ways to fail include poorly defined program goals, weak project management, inadequate resources, and poor data cleanup. Inappropriate package selection. ERPs, particularly Tier I ERPs, are very complex with many options. Many enterprises believe a Tier I ERP is by definition “best” for every enterprise. In reality, only very large, global enterprises will ever use more than a small percentage of the functionality available in a Tier I ERP. Enterprises that are not complex enough to justify Tier I, may find implementation delayed by feature overload. Conversely, large, global enterprises may find that Tier II or Tier III ERPs lack sufficient features for complex, global operations. Internal resistance. While any new program can generate resistance, this is more common with ERPs. Remote business units frequently view the financial or other standardization imposed by an ERP as an effort by headquarters to increase control over the field. Even with an active campaign to explain the benefits of the new system, it is not uncommon to find people in the field slowing implementation as much as possible. Even groups who support the ERP can become disenchanted if the implementation team provides poor support or is perceived to be rude or unresponsive. Disenchanted supporters can become vicious critics when they feel they have been taken for granted and not offered appropriate support.